From algorithm adjustments to the ever-changing video formats. Social media is constantly evolving, and as digital strategists it’s important we keep on top of these changes to better optimize our content for any platform. 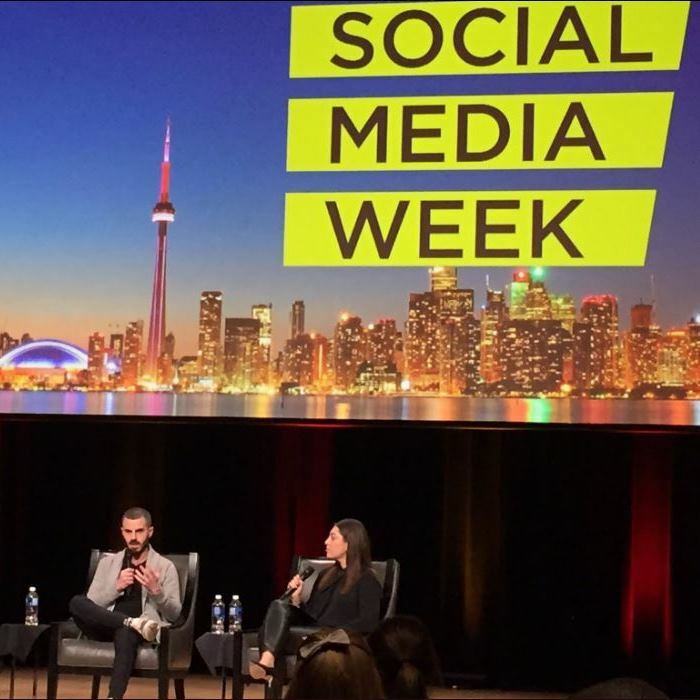 The ruckus team had an opportunity to attend Social Media Week Toronto, which brought several leading social media marketers together to outline what’s new and upcoming for social media marketing. Relevance: How often does the influencer talk about topics and information that are relevant to your brand? Resonance: How well does the content resonate with the influencer’s audience? What is their engagement rate? Reference: How big is their influence? Do other key influencers follow them as well? Reach: Make no mistake, reach still matters, but the above considerations are far more important to maximizing your campaign’s results. Facebook is a very cost-effective medium and it’s easy to funnel all your social marketing here. Especially if you’re a new brand or a new product, it’s a no-brainer to reach as many as 75 per cent of Canadians. However, this platform might not be the only platform depending on the audience or marketing objectives that your brand could explore. Reddit has a community of strong opinions and could be a place to help drive traffic – however beware of the content leveraged here and speak in reddit-lingo to engage better with this audience. Pinterest is full of lifestyle content with a strong base of users looking for wedding inspiration or meal prep ideas. Advertising on the platform has been getting easier and just as sophisticated as Facebook – they even launched a Toronto office! Ensure that things ran smoothly. Bring questions from online to their team of reporters, at the venues throughout the city to get answers by the candidates themselves. At a session with Josh Lyon of Tokyo Smoke and Amanda Marino from Herb we learned the background of marketing in cannabis (even though you pretty much can’t). To begin with, did you know that the word “cannabis” is politically correct – and that we shouldn’t use marijuana? Regardless, both agreed that education is the key for cannabis in the future, how they reach their audiences and promote their brand is done in a different way. Tokyo Smoke – Working for a company that sells paraphernalia and cannabis products, they are unable to promote their brand on any social channel. They are not allowed to use images or videos that show people using their products – Tokyo Smoke can show their shops and pictures that may help people learn about cannabis, but none of their products. Since they can’t advertise, their social media and coffee shop methods are a great place to educate. LinkedIn is often thought as a networking tool rather than a social platform with capabilities beyond job hunting and connecting with peers. After Goldie Chan’s Unpacking the LinkedIn Influencer session we saw LinkedIn as a platform that can add value to any social campaign, especially in the B2B sector. LinkedIn users have a deep understanding of their industries and will engage with highly-targeted and in-depth content, making it possible for brands to hyper-specialize their messaging to respective audiences. Working with influencers on the platform has also a proven successful. Consider partnering with LinkedIn influencers to build brand awareness for a B2B company, amplify a B2C product launch or to grow a company executive’s brand. Katie Boland, Amanda Carreiro, Vivian Kwong, Nicole Pomeroy and Kevin Behar are all a part of the APEX/ruckus digital team. Need help with your social strategy? Drop us a line.